Oliver had lots of fun throwing snowballs at us all! And Elijah got in my sledge so I pulled him around which he loved! Stewart made a snow angel to which Oli got in the snow next to him and instead of moving his arms and legs, wiggled his bottom which made us giggle! however the roads by my flat were just sheets of ice, and the paths were no picnic either. I have spent the entire 7 days in wellies, and Gareth slipped on ice and badly hurt & bruised his foot & hurt his arm. Thankfully my car was at my parents house where they gritted the road so I didn’t have to battle with the ice and I was still able to carry on as normal. So the week after I last updated, I said my goodbyes to my colleagues and worried about my future, but looked forward to a week helping out my dad. 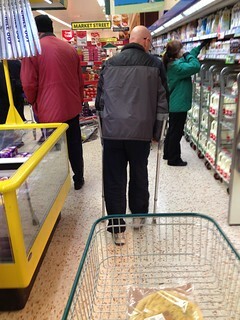 He had treatment at hospital and was on crutches, so I drove him to work for a meeting & we had a few bits to get from Morrisons. I liked helping him out 🙂 And he needed to rest up. During that week I had 3 leads on a new job which was a surprise to me. One call was within an hour of leaving my job! The one though came on Tuesday, I was told the company wanted to meet me on Thursday, so I went in, they liked me and I started my new job on Monday. It’s been a great week, and this year so far has been just so overwhelming. A friend told me things happen for a reason, but I’ve always been quite skeptical but my luck has truly switched around and it’s strange how things have turned out for me so far, but I have indeed managed to salvage 2013 😀 Yay! Hang on, wait a minute! Christmas Eve is tomorrow! Can we just pause for a little bit, I have 2 more presents left to finish! Only have half a day at work to get through before swinging by the shop for last minute essentials and hubby’s stocking gifts. And yesterday Elijah was playing at Nan Irene’s, as it was the Saturday before Christmas we had a full house! Wednesday I had the day off work, and it was nice to simply do nothing. Well I say nothing, but I did blow the bulb in the lamp, had to change that & then I had the fire on & so checked the carbon monoxide detector and changed the batteries on that. And cleaned up a little. But other than that, I sat & watched Miracle on 34th Street… I find it hard to believe myself that I’ve never seen this movie before but I loved it! Then recorded Phineas & Ferb xmas special onto DVD along with another film “home for the holidays”, 100 years of royal variety show… Just catching up on TV shows I can’t watch normally because the darling husband of mine has been rather attached to Call of Duty. I don’t know which one I hate more: COD or World of Warcraft LOL! Saturday previous to that though I headed out with one of my favourite nephews. It was just me, Mum & Eljiah and we caught the bus into town. We didn’t do much, it was just nice to walk around and I got to push Elijah around for a little too which was quite a novelty for me ^_^ and while mum went in to a small shop to get some stuff I chatted away to him & took some pictures. 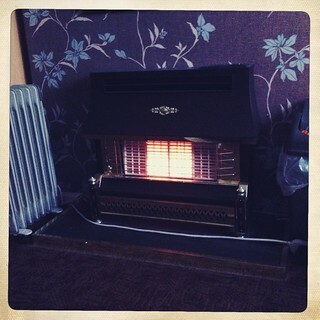 OK 10 Hipstamatic photos, but I need some photos to get cracking on his scrapbook! Fast forward to last night & I got to go out with the Zumba ladies & I didn’t get to bed until 1am! Oops! But we had a great night, and tonight is our work xmas meal. Erm, after last night I certainly won’t be out late tonight! On to the Disney Prep! It was nice to get back in to swimming on Sunday 🙂 I swam around with Elijah as he sat in his little rubber ring. I love this time we have on a Sunday in the pool and am tempted to get a waterproof case for the old cybershot because if it leaks, well the old gal had a good run & we have Gareth’s camera now anyway 😉 I think that shall be another thing to add to my wunderlist. Then I can have some pretty shots and video for Oliver and Elijah to look over when they get older, and think that I’m the cool aunt for documenting such things 😀 And the case would come in handy for the trip (I shall be taking!) to the water parks. If only I can persuade Gareth on the day to go on crush’n’gusher with me! 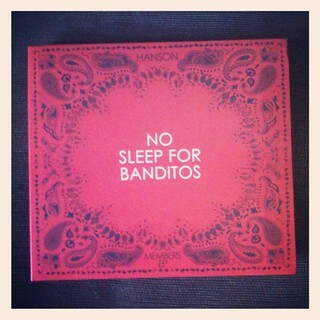 Friday after work I had the nice treat of my “no sleep for banditos” members only EP from Hanson. Bit of “up all night” cranked up on the headphones was just what I needed after the return to work after a 4 day weekend! On Sunday it was up bright and early for swimming! It was just me, mum, Stewart, Claire, Oliver and Elijah. But we had lots of fun. Me and Oli sat on one of the floats they have in the pool with the noodles in each hand “rowing” in the pool both singing “row, row, row your boat”. I will have to make little “memory Journalling cards” to put in the boys albums so I can note such gems down 😉 cannot wait for this Sunday as my dad is coming too so I will get to see him on fathers day, and Gareth has been instructed to join in as well! And best off all? Tuesday I weighed in and was delighted to see 2 whole pounds lost this week! Plus the pound I lost the previous week even though I was convinced I had actually put it on, I am now back on track before my hiccup! 8 pound left to go! I had a fantastic weekend 🙂 Well, apart from spending 3 and a half hours waiting for Gareth’s car to get fixed LOL. We visited my nan where it was just my parents and my brother’s family, before we headed off to Cardiff to celebrate our anniversary, hanging out with my youngest Brother in Law. It was nice to grab the SLR. I got some quality Oliver & Elijah time, and as we played with the little swimming froggy in Oliver’s sand & water pit it was suggested that while the weather was gorgeous we should head to my sister in law’s aunt’s house to swim in her pool if no one else was using it. Lucky us, we could go, and I sat on a float in the pool along with Oliver as we paddled around, and then I got to walk around the shallow area holding on to Elijah. Stewart suggested we could make it a weekly thing on a Sunday morning, so I can’t wait! Though I seriously learned my lesson as my beloved Hanson symbol ring and wedding ring got severely tarnished so I won’t be wearing them in the pool again. Thankfully my parents fix everything and I took my jewellery to them and my dad sorted it. Dad for the win!